We were away for my kid's winter break, but I did read one book. My family kept us busy that I didn't get to read as much as I would have liked. This book is about a man whose daughter disappears when they are on a camping trip. She is soon found to be murdered by evidence in a shack in the woods. 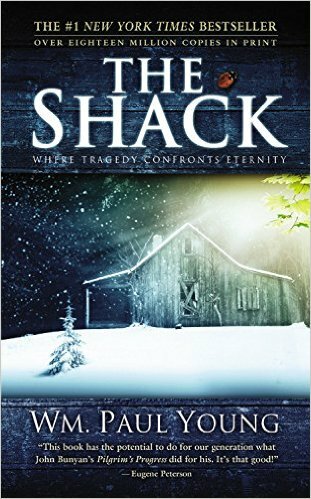 Four years later, the man receives a note in his mailbox that says "Meet at the Shack". He decides to go and the trip changes his life. Okay - this book had 10,000 reviews on Amazon. I think everyone I know has read it. And everyone I know that read it, didn't like it. But curiosity got the better of me, and when I found it was self published, I figured - why not. I should have left it alone. It wasn't terrible. It was fine. It was a little weird, and cheesy. The story starts very tragic - the death of a 6 year old girl is hard to read. But then the story moves to him being in the shack and meeting Jesus, and God, and the Holy Spirit. And the conversation is just......strange. And kind of rambly. So I quickly lost interest. I don't really recommend this book. It was alright, but I was glad to be done with it.